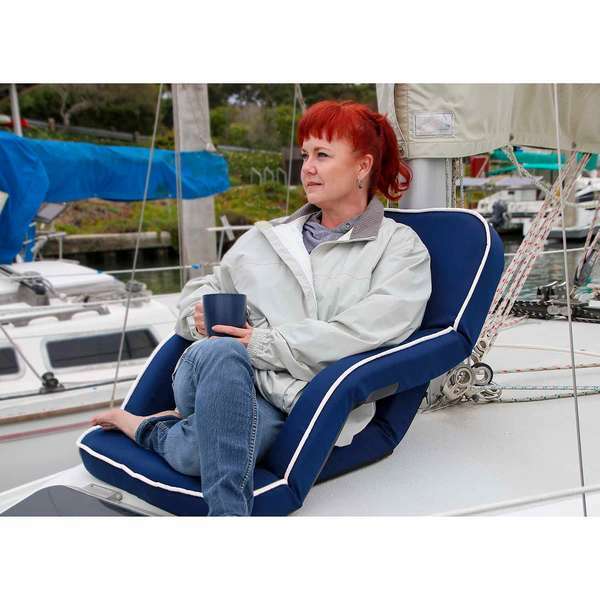 Take a break, wherever you are in this comfortable, portable seat. Newly designed for exceptional comfort in a portable seat, this chair features a dense cushion foam and dual side armrests. The seat’s outer layer is constructed of durable 7oz. dyed polyester that is specially treated for UV and mildew resistance, and a urethane undercoating to prevent water absorption. Comfortable inner cushioning is made from urethane foam. The powder-coated steel frame has a heavy-duty, five-position ratcheting hinge that allows the seat to be folded flat for easy storage.